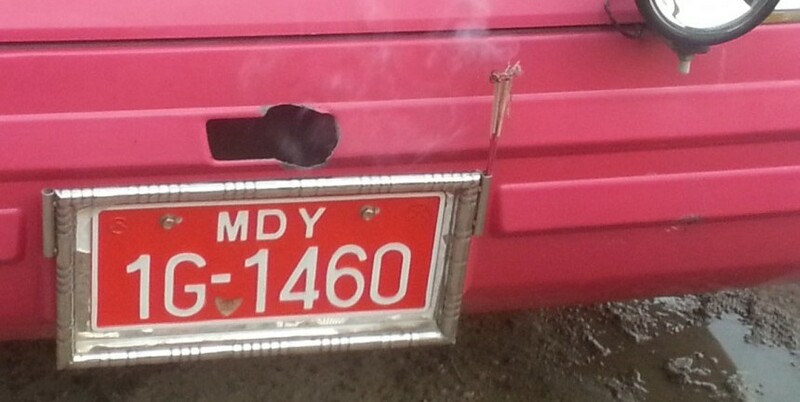 The tourist situation in Burma/Myanmar is currently a constantly changing one. More so than in many other countries I found that the guides you can find in books, and even the ones on the internet were often well out of date and facing a hopeless task in trying to keep up with the changing information coming out of the country. 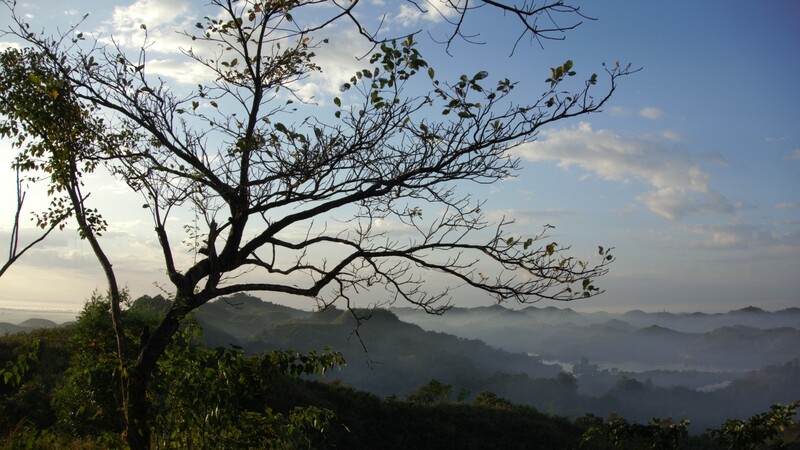 As a general rule, things are, for the tourist at least, gradually getting better – road conditions and travel times are generally a bit quicker than what is found in the guides and the number of places you can now visit overland without the need for prior permission is slowly increasing. Hurrah for lovers of long bus journeys! 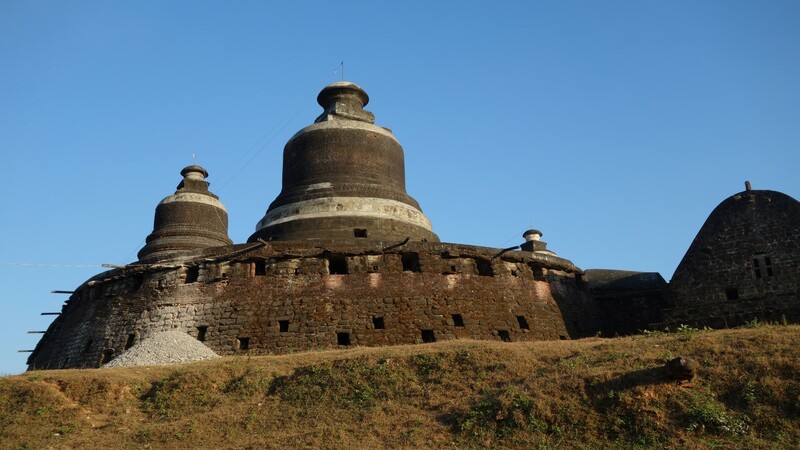 One such place I was keen to visit was Mrauk U, pronounced Mira Oo – an area featuring a concentration of temples and pagodas that is often compared with what is probably Burma/Myanmar’s most famous tourist sight, Bagan. 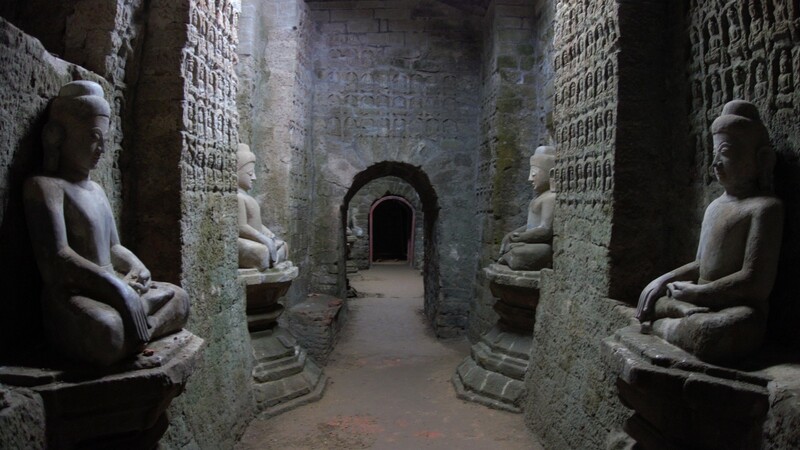 Mrauk U is generally touted as being the less touristy, more “real” version, as on account of its difficulty to get to, only around 5,000 tourists a year make it here comparred to the tens of thousands that visit Bagan. 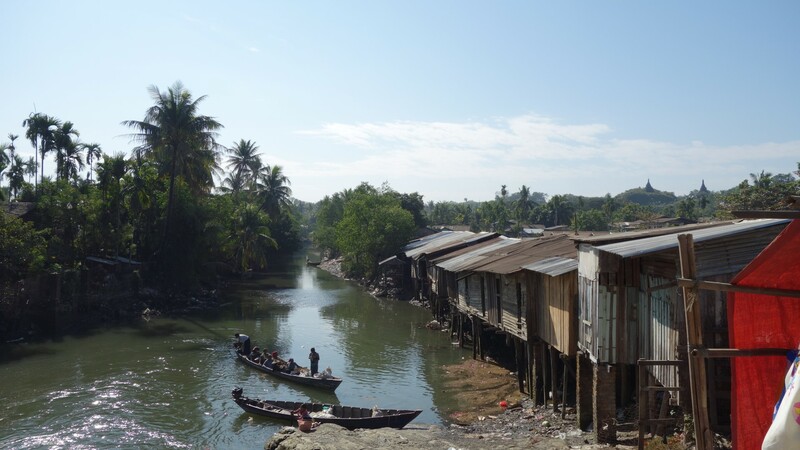 Tourist numbers seem likely to slowly increase though, as although it is still not the most straight forward place to visit, you can get at least now which Mrauk U direct by bus from both Mandalay and Yangon, and even from Bagan via a change of bus in Magway. However you can count on it being your most expensive bus journey (and probably longest) in the country, for a not particularly luxurious bus on which you will be liable to spend at least 20 hours on. Some of these journeys might be in the company of a wide variety of cargo thrown into the back seats of the bus and underneath the seats, with large metal girders under my seat doing nothing to help what wasn’t a particularly generous leg room situation to start with. Is it reassuring or worrying if they decide they need to bless the bus before you start your journey? 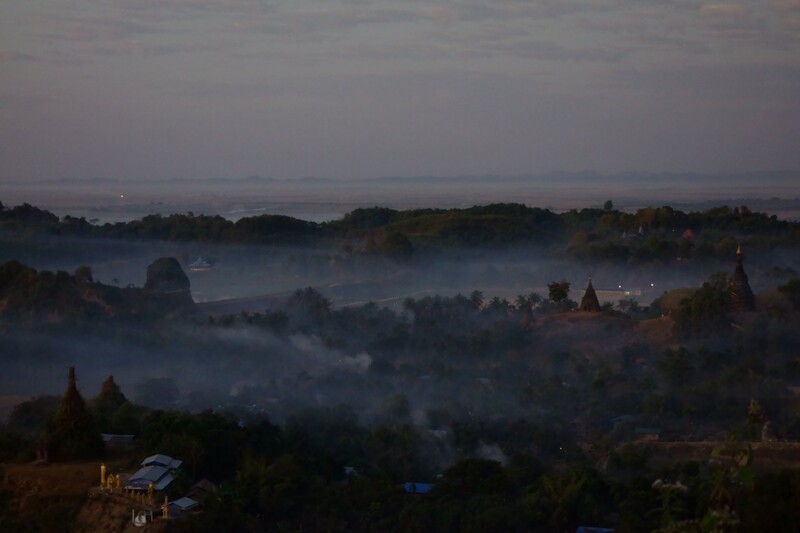 Typical houses in the village of Mrauk U, with pagodas peeking through the dawn mists in the background. The day I was asked to join a game of Hacky Sack was a proud day indeed. I sucked. The temples are very different to Bagan, much more simple in appearance and made of stone rather than brick. Some of them look more like forts or pill boxes to be honest. There are also far fewer of them, but the landscape is also different, with myriads of small hills meaning the whole site has a very different look to Bagan. 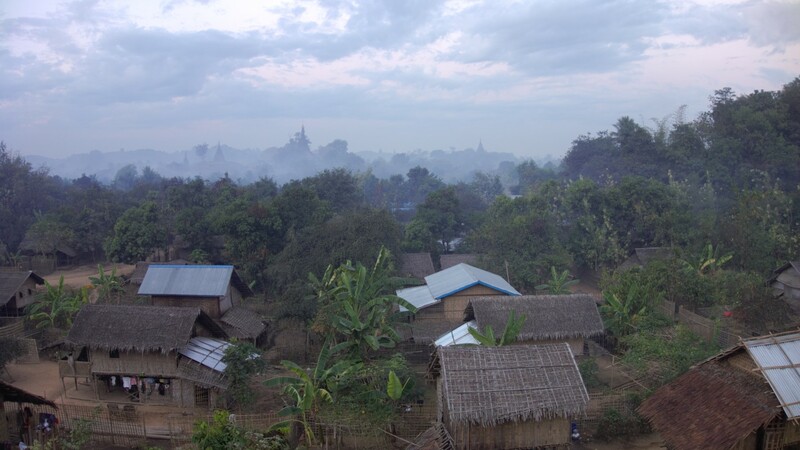 In the evening, the view from the hills as the setting sun shines through the woodsmoke, with kids playing hacky sack and football outside the temples whilst adults tend the surrounding fields is truly awesome, a highlight of my entire time in Burma/Myanmar and up there as a highlight of my whole trip so far. 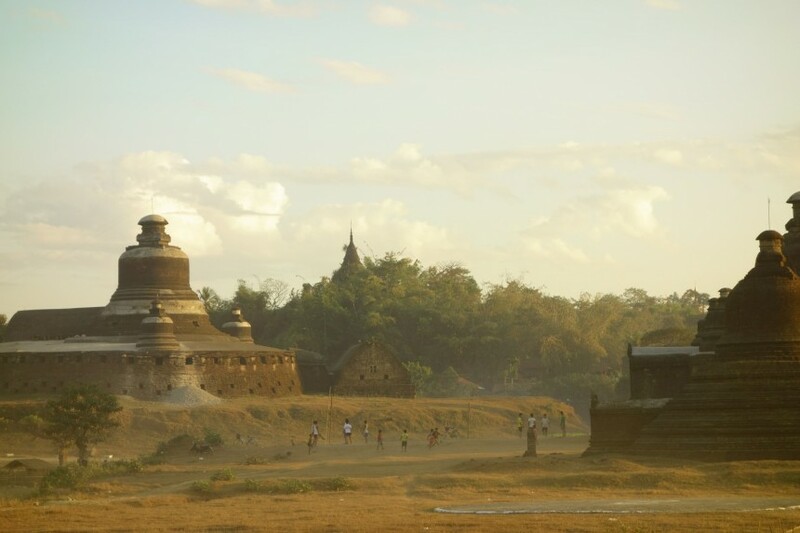 Mrauk U v Bagan. Temple Off! No, nothing to do with Berlin’s iconic airfield, but a question I have been asked and have asked others on several occasions – “which is the better site to visit? 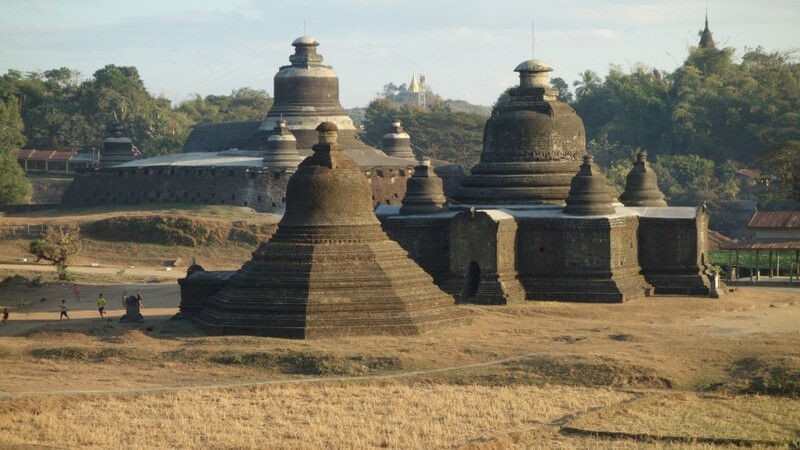 – Bagan or Mrauk U“. The guide book and several other tourists I met characterised Mrauk U, as I stated at the beginning of this piece, as the less touristy Bagan, as a result several people I met had only visited Mrauk U and others who did visit both said that they much preferred Mrauk U on this basis. But the site is also much smaller so you are just as likely to be sharing the best sunset and sunrise viewing spots with others (although admittedly not on the same scale) Equally Bagan is large enough that if you go off the beaten track you are just as likely to find yourself wandering a temple alone. A Mexican I met seemed rather disappointed with the temples of Mrauk U and clearly preferred the slightly grander and generally larger designs at Bagan, but some of the larger temples at Mrauk U definitely stack up well in my opinion in terms of visual appeal and the fun of exploring the interiors. So in my mind the whole thing is rather a false choice – they are, despite essentially both being locations in which you can find lots of temples, in my mind sufficiently different places to stack up as must see places in their own right. 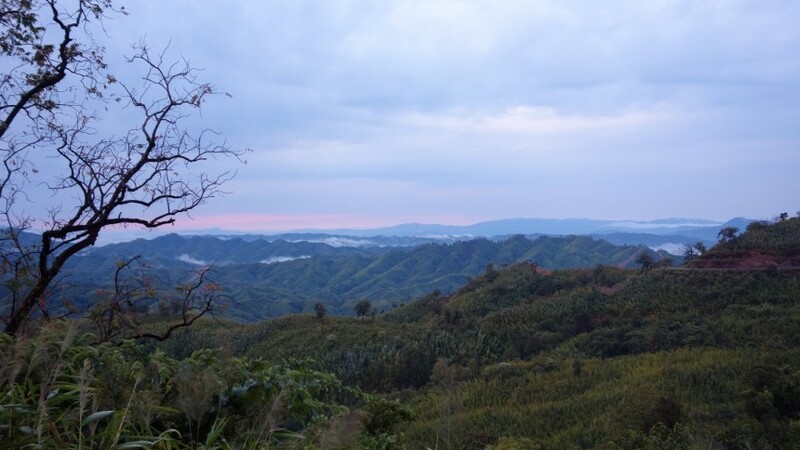 If you are on a tight time schedule you will likely only have time to visit Bagan as it is far easier place to get to, but if you have the luxury of time then Mrauk U is a great place to visit, not instead of Bagan, but in addition to Bagan. That said, false choice or not, when asked to pick which one I preferred, I would have to say Mrauk U – partly because the sunsets with the woodsmoke really were special, and probably partly because I spent 40 hours on buses to get there and back and I probably still need to justify to myself that it was worth it! 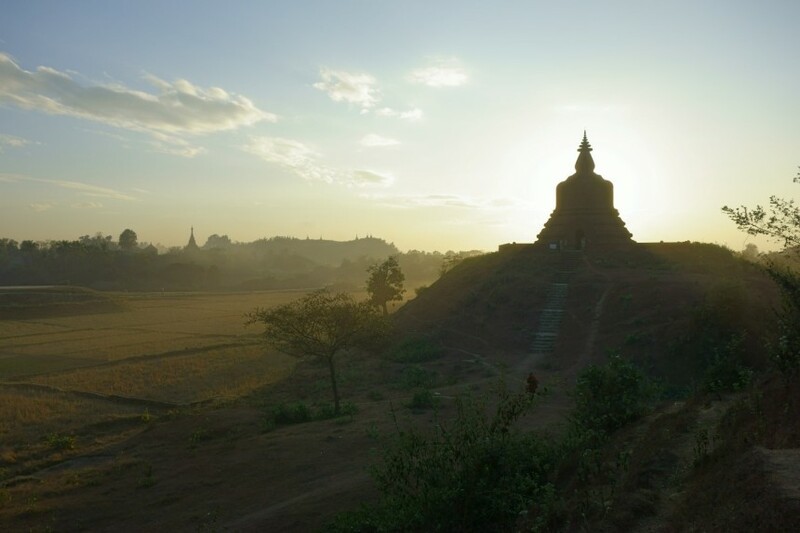 I’m sure many others who say Mrauk U is much better than Bagan are motivated by similar feelings, so the truth is, if you can visit both, visit both!